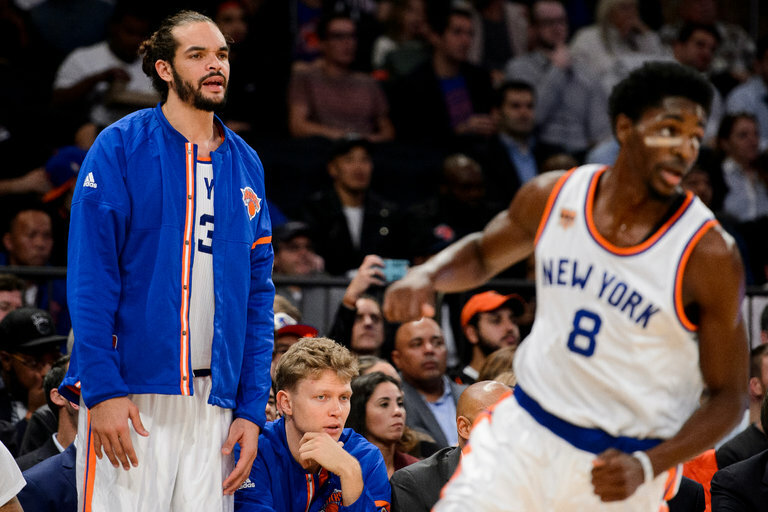 The Knicks’ Joakim Noah watching from the bench during a game against the Houston Rockets in November. GREENBURGH, N.Y. — Joakim Noah returned to the court Tuesday afternoon, donning a Knicks workout jersey and shuffling through a light practice at the team’s training facility. The timing and the significance of the scene were not immaterial. When Noah underwent left knee surgery last month, it was not certain he would play again this season. When it was disclosed over the weekend that he had tested positive for a performance-enhancing drug and had been suspended by the N.B.A. for 20 games, the question quickly turned to how soon he could be cleared to play again so the suspension could begin.